The İstanbul Chief Public Prosecutor’s Office has issued detention warrants for 189 lawyers as part of an investigation targeting people linked to Turkey’s Gülen group, which is accused by the Turkish government of masterminding a failed coup attempt on July 15, the state-run Anadolu news agency reported on Wednesday. According to the report, 78 of the 189 lawyers who are accused of “membership in a terrorist organization” have been detained so far in operations across eight provinces. Police teams searched houses and offices of the lawyers before the detentions. According to a report on the Turkey Purge website in March, at least 370 lawyers have been jailed while 967 others have been investigated either over alleged involvement in the coup attempt or having links to the Gülen group. National and international human rights advocates and organizations criticize the government-led crackdown on the lawyers for being a huge blow against the justice. In May, Justice Minister Bekir Bozdağ said more than 4,000 judges and prosecutors have been dismissed over links to the Gülen movement and that none of the remaining judges and prosecutors have been left uninvestigated. According to the t24 news website, the government has dismissed 4,238 of Turkey’s 14,661 judges and prosecutors since July 15. In December, the European Networks of Councils for the Judiciary (ENCJ) suspended the observer status of Turkey’s Supreme Board of Judges and Prosecutors (HSYK) and excluded it from participation in ENCJ activities for the mass suspension and dismissal of judges and prosecutors and the failure to comply with the European Standards for Councils for the Judiciary. On June 8, Nils Muižnieks, the Council of Europe’s commissioner for human rights, expressed concern about the new composition of HSYK based on amendments which was approved in April 16 referendum, saying it does not offer adequate safeguards for the independence of the judiciary. The group denies any involvement. 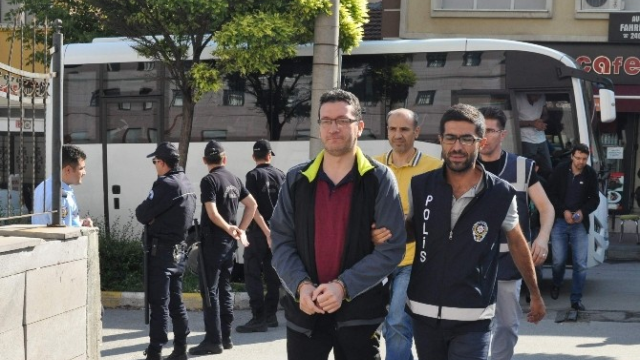 According to a report by the state-run Anadolu news agency on May 28, 154,694 individuals have been detained and 50,136 have been jailed due to alleged Gülen links since the failed coup attempt.